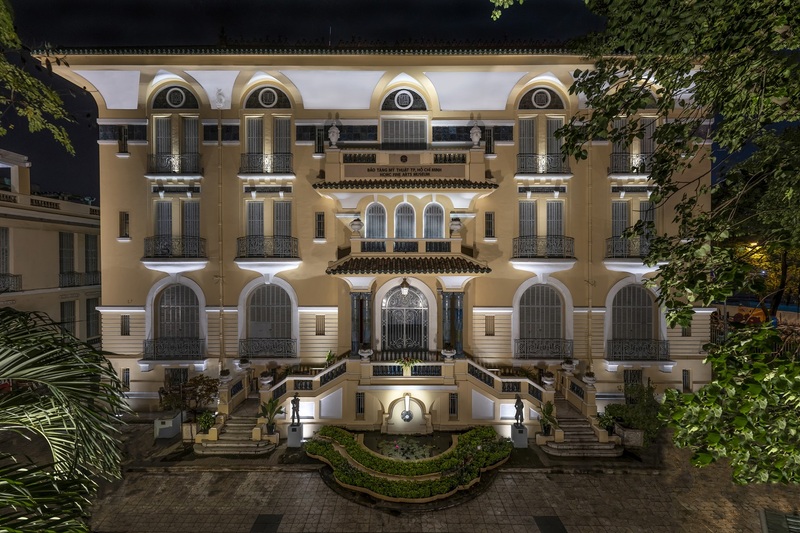 Ho Chi Minh City, the hub of southern Vietnam, inaugurated the new lighting of its Museum of Fine Arts in October 2018. The lighting scheme was developed and implemented by experts from the City of Lyon within the framework of a long-standing bilateral cooperation between the two cities. Originally a colonial-era Chinese family mansion, converted to a museum in 1991, the Museum of Fine Arts now has a facade entirely illuminated by LED projectors. “We wanted to use light to reveal the architecture of the building. It was also important for us to properly integrate the projectors so that they would be invisible by day and to ensure that no glare disturbed passers-by,” says Thierry Marsick, Director, Urban Lighting Department at the City of Lyon. “Lyon has been involved in the lighting of various iconic buildings in Ho Chi Minh City, such as Nha Rong Wharf in 1997, Ho Chi Minh City Hall in 2004, Sai Gon Opera House in 2008 and Saigon Central Post Office in 2013. The lighting of the Museum of Fine Arts is another illustration of the effective cooperation between our city and Lyon,” says Le Thanh Liem, Vice Chairman of the Municipal People’s Committee.